Sheep & Goats | Kane Manufacturing Company, Inc.
Kane is your trusted partner when it comes to caring for your sheep and goats. 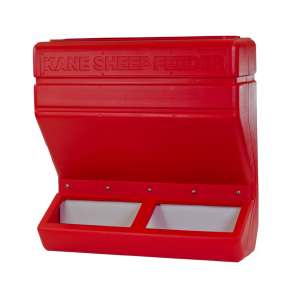 Whether you’re a family farmer or a larger-scale commercial operation, Kane’s feeding and watering solutions will help you take better care of your herd. 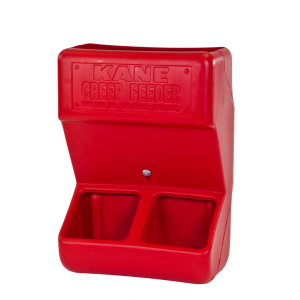 Kane Sheep/Goat Creep Feeders are made of high-density, durable polyethylene. These feeders are designed to feed 2-3 lambs per hole. 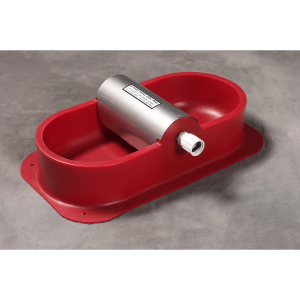 The Kane Sheep/Goat Mineral Feeder can be used for any dry feed materials, such as ground feeds, pelletized feeds or powder additives. Made of high-density durable polyethylene that is non-corrosive, it will not rust and does not wear out.